The Summerside Rotary Mardi Gras curling funspiel, sponsored by NAPA Provincial Auto Parts, is back! Grab some friends, family, or co-workers and come join us for some curling and fun this March 7-9. 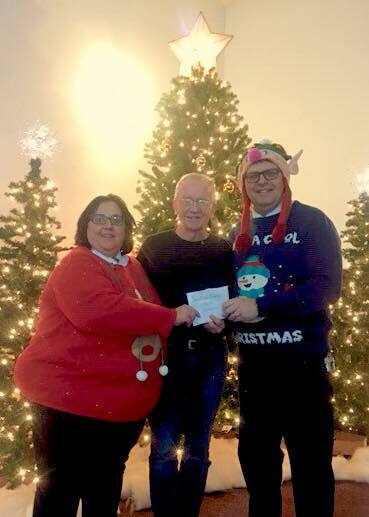 Rotarian Gerard Greenan, on behalf of the Rotary Club of Summerside, presented a cheque for $770 to Dolores and Neil Abbot. The money raised is a contribution to the Salvation Army Christmas Appeal. 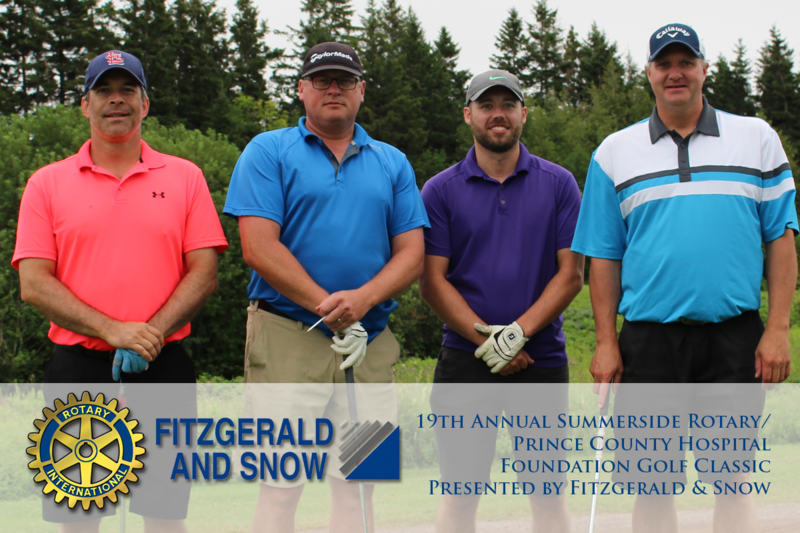 This year's winning team for the Fitzgerald and Snow Rotary Prince County Hospital Foundation Golf Classic was Scotia Wealth Management. Members of the team were Ian Power, Wade Hulbert, Brian Francoeur, and Nathan Steeves. Congratulations and thank you! 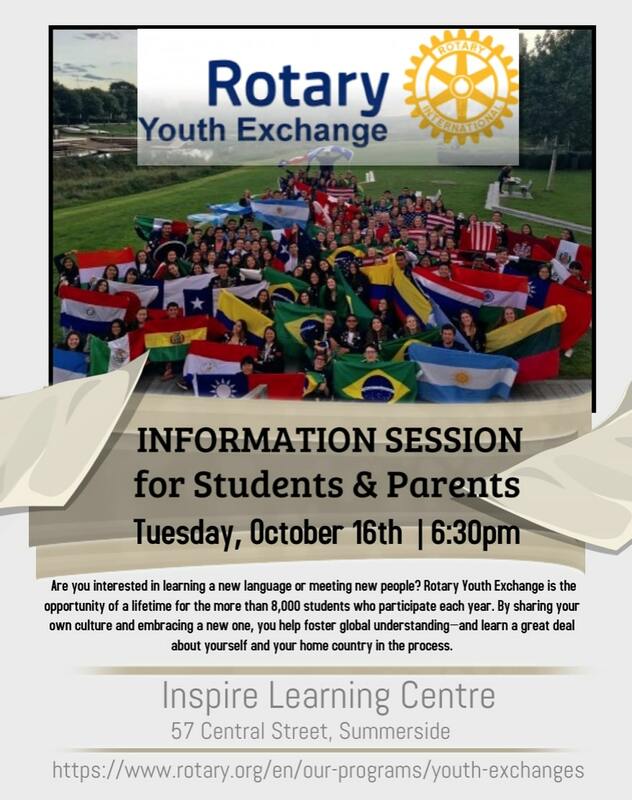 Recently, the Rotary Club of Summerside celebrated its 75th anniversary. It all began back in the spring of 1943 with our first president, Peter G. Clark. Since then, some of the most prominent men and women of the Summerside area have served in the club, making our community a better place to live. Thank you to all who attended and we look forward to serving the community for the next 75 years! 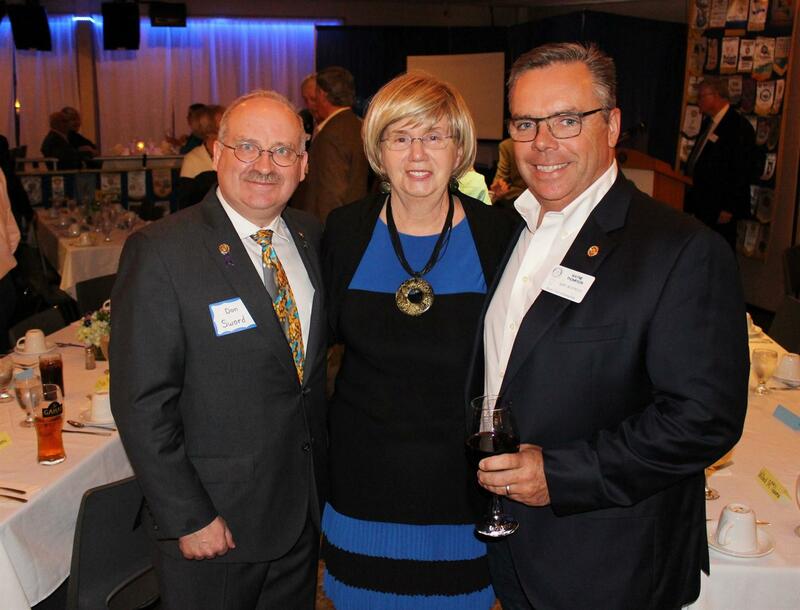 Seen in the picture is 2017 District Governor Don Sword, with Past District Governor Elva Hayge, and incoming President Wayne Thompson. 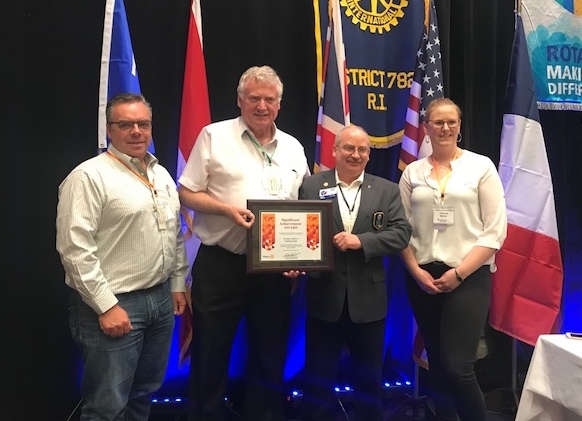 Last month, at the annual Rotary District Conference held in St. John's NFLD, Rotary International presented the Rotary Club of Summerside with the Rotary International Significant Achievement Award for our work on the Inspire Learning Centre.